After a red hot year in 2018, Canada’s residential real estate market has begun to slow. Meanwhile, other real estate sectors have continued to soar. Canada’s commercial real estate sector has remained strong into the New Year. The country’s industrial real estate market is also soaring. In Vancouver, the demand for industrial real estate is so hot the city may run out of land for the sector by 2020! 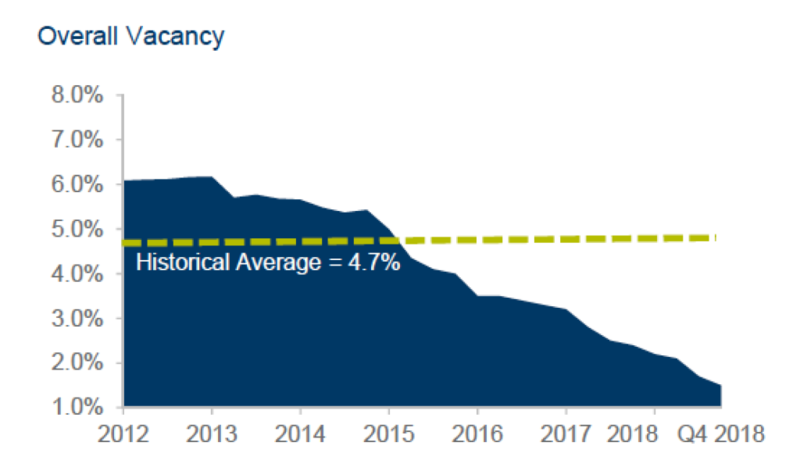 The increased demand and low vacancy rates have caused rents to spike. 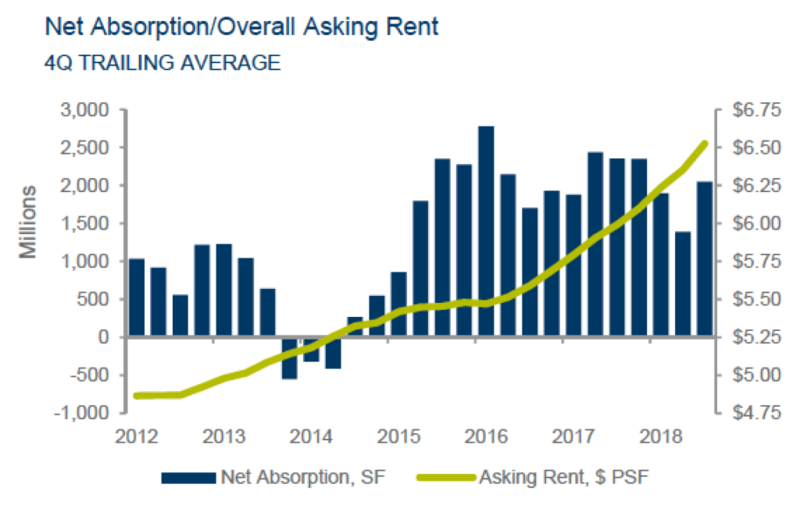 Industrial rents spiked 16 percent up to a record of $11.86 per square foot last year. This was the highest in the whole country. Toronto’s industrial real estate market has also been booming. The GTA saw a record low availability rate of 1.5 percent. This pushed the rental rate up to $7.40 per square foot. Overall, this was an 18 percent increase and a new record high. The rise of e-commerce is a driving force behind industrial real estate demands. As more retailers promise faster shipping they need warehouse space close to consumers. Both e-commerce companies and third party logistic (3PLs) have nonstop demand for industrial space, and large cities such as Toronto and Vancouver are ideal for a centrally located distribution center. The increase of e-commerce shopping and last-mile distribution facilities has put the demand for warehousing space in turbo drive, which has triggered more construction as developers scramble to keep up. At the end of 2018, there were over 9.5 million square feet (msf) of new developments underway. Major retailers are behind a portion of the builds. Canadian Tire is building a 1.4 msf facility in Brampton, Amazon a 1.0 msf fulfillment facility in Caledon, and UPS a 850,000 sqf warehouse in Caledon. This need for industrial space isn’t expected to ease up any time soon. According to Cushman & Wakefield, a commercial real estate company, “Tightening markets, robust leasing activity and limited supply, along with higher land prices and development charges will exert continuing upward pressure on the rental rates.” The current projects in development likely won’t be enough to meet current or future demands either. Of the 6.4 msf of new supply that arrived in 2018, less than 1 percent of that was available by the end of the year. Overall, this is great news for those looking to get into the industrial real estate market. As e-commerce grows, the need for industrial space will too. The demand for industrial real estate isn’t likely to slow down anytime soon.